Activities on the Isle of Palms are endless. 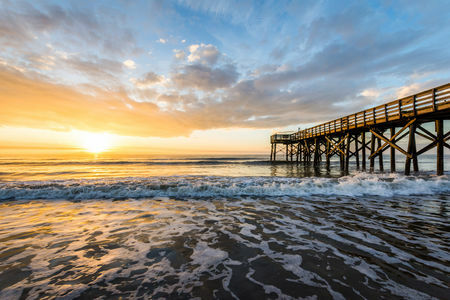 Whether you come to lounge in a beach chair under a rented sun umbrella, or prefer to take to the waves on a paddle or surf board, or want to explore Charleston aboard bikes, pulling the little ones in towable strollers, there’s something for every family vacation in Isle of Palms. Renting a beach chair and umbrella means that your spot on the sand is staked out in the morning and you’ve got a comfortable place to retreat to when the sun is at its peak. You have a comfortable chair to stretch out in while you watch the waves wash up peacefully on the beach, and the perfect amount of shade in which to doze and enjoy your relaxing day on the beach. Biking along the hard-packed sand or along the numerous bike trails that wind through the city is an excellent way to enjoy your stay in Isle of Palms. With so many trails to explore, parks, the shopping district, and opportunities to bike along the sand, there aren’t many places you can’t visit via bike in Isle of Palms. Paddle boarding, which involves standing upright on a large board and paddling through the waves, is a popular sport on the waters off the Isle of Palms. The relative calm of the waves provides a perfect opportunity for beginners and advanced enthusiasts alike to enjoy an afternoon chasing the waves and riding their boards through the surf. Isle of Palms offers premium surfing, perfect for beginners to intermediate surfers. The waves are strong enough to challenge, without being overwhelming. Surfing in the Isle of Palms offers beachgoers a chance to test their skills on the waves. We offer surf and paddleboard rentals, as well as beach chairs and umbrellas and more. Everything you need to enjoy your stay in Isle of Palms is available to rent. Contact us today.